Measuring roughly 8.5" x 16", the MPC Live is by no means a large gadget, yet Akai managed to use that space so well that you'll never feel like you're producing on a compact workstation. The design philosophy behind the MPC Live is so simple it's pure genius. Anything you'd want to manipulate with a mouse is available on the multi-touch display, while Q-Link encoders and dedicated buttons put all the important functions you need at your fingertips. On that note, your fingertips will love the next-gen MPC pads, which respond dynamically and deliver full velocity and pressure sensitivity, so you can jump between percussive and melodic instruments smoothly. As an electronic-music producer, you never know when or where inspiration might strike, and the best ideas can come to you when your studio is miles away. It only weighs about 5.5 lbs., so you can keep your MPC Live in a backpack or messenger bag without even noticing it's there. What's more, this fantastically powerful music workstation can run for hours from the internal Li-ion rechargeable battery, so you don't have to be anywhere near AC to get seriously creative. MPCs have combined software and hardware from the very beginning. The only thing new about that is that the software running on your MPC Live is the same software you can run on your computer. That means you can stay hooked up to your computer if you like, taking full advantage of your computer's plug-ins and any additional recording gear, while still having access to MPC Live's controls, but you don't have to. This integration is beyond cool. You can start a project in the studio, head out to find inspiration with everything loaded on your MPC Live, and when it's time to head home, you can toss everything back onto your computer effortlessly. 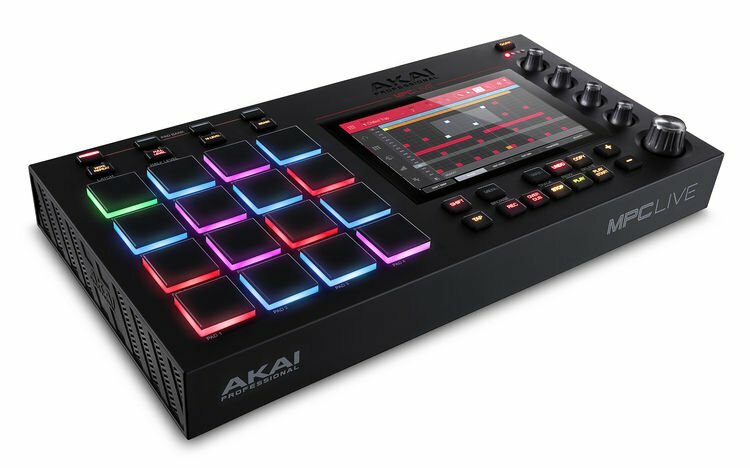 When Akai announced a software DAW that thought like an MPC back in 2012, the electronic-music-production world went nuts. The immediate success of the MPC Studio and the MPC Renaissance paved the way for the next generation of standalone MPCs and the MPC 2.0 platform. The one thing many of us at Sweetwater love about MPC 2.0 is that you can finally record audio tracks right alongside your loops. This feature alone pushes the MPC software DAW out of the realm of beat production into the big leagues with other loop-based DAWs. While they were at it, Akai also updated their time-warp algorithm and enhanced their Q-Link control system. 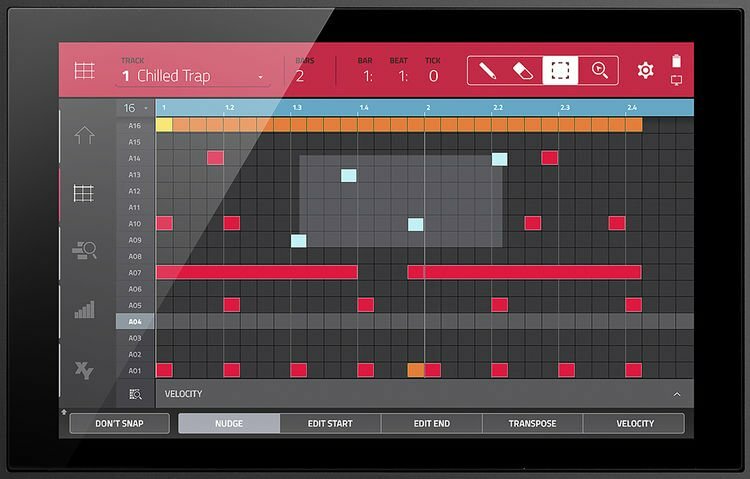 What's more, drag-and-drop MIDI and audio makes the most of the MPC Live's touchscreen. Sporting 16GB of internal storage, the MPC Live offers you plenty of space for your sample collection. If you're a sample hoarder like some of the producers at Sweetwater, then you'll appreciate being able to hook up any hard drive (HDDs and SSDs) via the 2.5" SATA drive connector, or to plug in an SD card or USB flash drive and only load up a few extra GB of samples. Speaking of samples, the MPC Live comes with the massive 10GB Vault 2.0 sound library. We're talking about the best Capsun Audio, MVP Loops, and CR2 Records has to offer, as well as a ton of unique content from the sampling gurus at Akai.